It was in Ottawa in October 2016 that I first met Sir Terry Matthews. 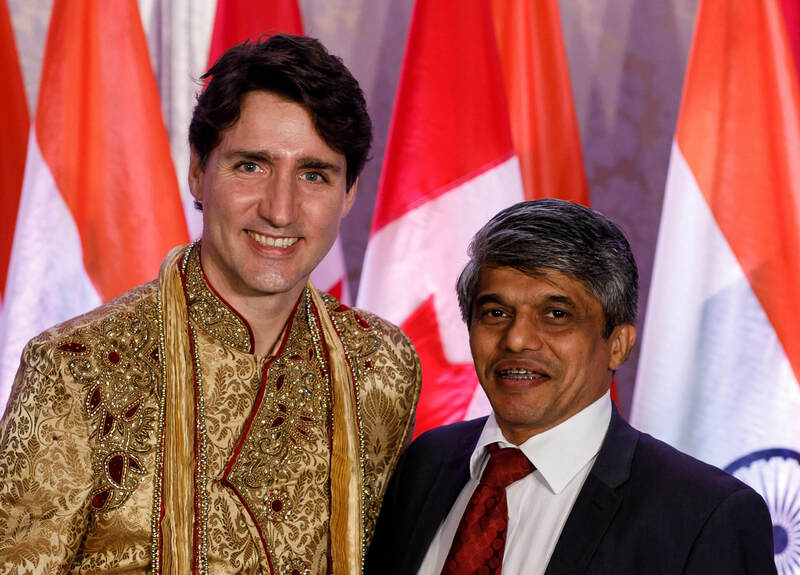 Fast forward to February 2018, Alacrity India, our early stage startup fund (co-promoted by our firms Wesley Clover and Ideas to Impacts) made it to the list of business announcements by Prime Minister Trudeau during his recent India trip! It is the first VC fund to be headquartered in Pune! Alacrity India thus becomes part of the global startup ecosystem of Wesley Clover, the family office of Terry, Canada’s foremost technology entrepreneur and investor. He made his billions over the last 40 years with his nose-to-the-grind, no hype approach to business and rigorous focus on revenues and profitability. Through Alacrity, his endeavour is to build the next generation business leaders with the same mindset. Alacrity India is 5th in the series of early stage funds and incubators after Canada, UK, France and Turkey. By the end of 2018, there will be 10 such across the globe! Terry is also planning a global growth fund for the subsequent rounds of funding that these startups would need. In each country, Wesley Clover and a local company are the co-promoters (lead investors). The other investors (LP’s) are also local and are our industry partners. Like Wesley Clover, they are encouraged to bring the big problems in their industry to the startups, mentor them, become early adopters of their solutions, and participate in subsequent rounds of the portfolio startups. Thus, if they wish, they can play a key role in the startups disrupting their industries! Our objective is to scale startups and make them Series A ready. We focus on our strength in B2B SaaS, that brings down the barriers to scale globally. In India, we have added India Stack (Aadhar, UPI, Digilocker, E-KYC, E-sign) as a technology platform, that can help B2B2C startups scale significantly. Apart from the funds, there is a lot in the ecosystem that goes into making this happen. The approach of becoming the Centre of Excellence in our focus areas has been successful in other Alacrity locations such as Ottawa (e.g. organising SaaS North conference). This will be replicated in India helping us cast our net wide, beyond the usual hot-spots and attract the best startups and ecosystem partners to us. In Hubli, Alacrity India has partnered with Hubli Angels (as investing LP), KLE Tech University and their CTIE incubator. Can the entrepreneurs there have a better opportunity to succeed? Along with Pune, we hope to replicate this model in other places as well with like-minded investors and excellent universities / incubators. We seem to be at the right time at the right place for B2B-SaaS. Pune is fast becoming THE place for hi-tech enterprise products. The successful rounds at Icertis and Mindtickle are recent examples. India Stack is similarly poised for exponential growth in the next few years. While catching this not-to-be-missed start-up opportunity in India, we also look forward to building long-lasting relationships with our like-minded ecosystem partners in India for even larger plays and bigger success in future. As Terry says. this is just a small start to get to know each other!